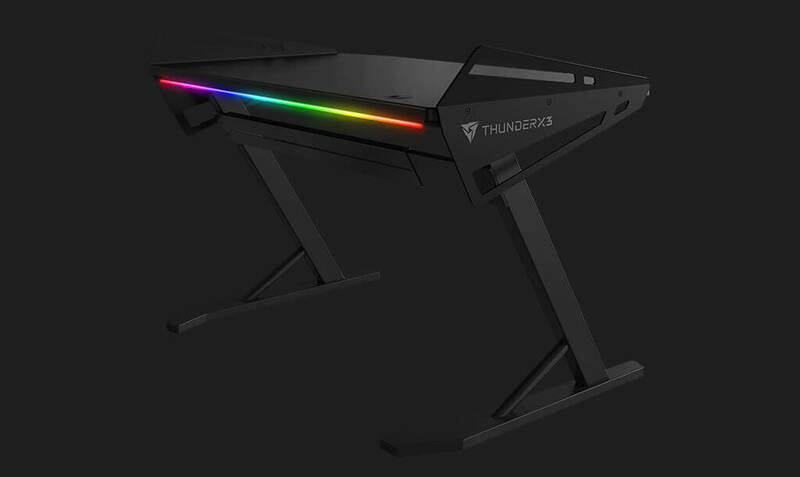 Built especially for maximum gaming performance and comfort, the ThunderX3 AD3 HEX Gaming Desk will transform any gaming setup into the battlestation of your dreams. With HEX RGB ColorLighting and a stylish, futuristic design, the AD3 delivers the look and feel of a true gamer straight to your room. 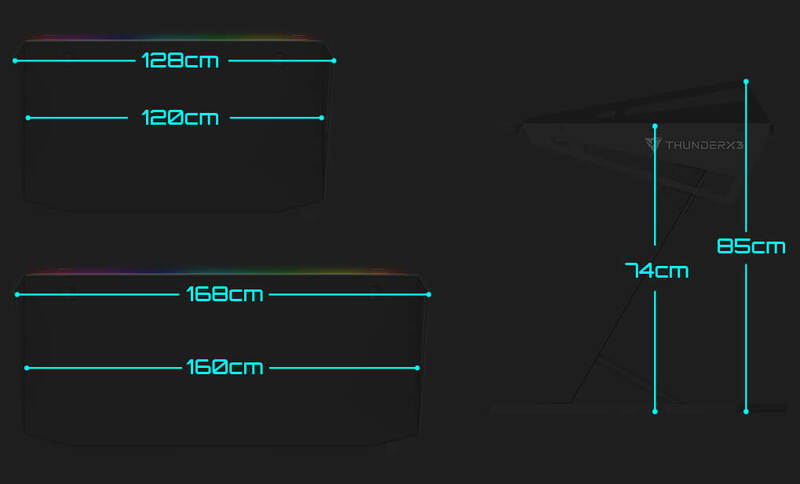 • HEX – RGB ColorLighting. • Cable grommets for efficient cable management. • Sturdy steel frame provides greater durability. Stylize and personalize your visual experience with HEX RGB ColorLighting and 6 unique lighting effects – Flow, Wave, Radar, Cycle, Breathe, or Solid. 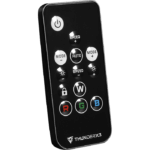 Take complete control of 16.8 million colors and all of the AD’s unique lighting effects with a touch of a button from the wireless RGB remote control.